The Callaway Rogue hybrid features Jailbreak Technology, for the first time in a hybrid, to increase ball speed and distance. The innovative Face Cup Technology works with Jailbreak Technology to promote fast ball speed across a larger part of the face for consistently long distance while the ultra-low CG location makes the hybrids easy to hit. 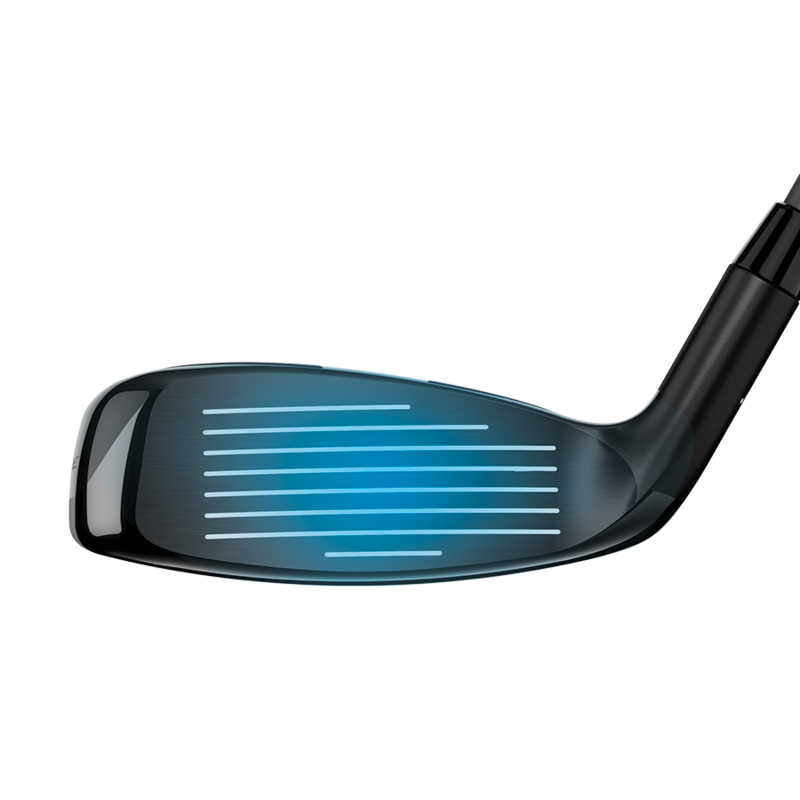 Jailbreak Technology, used for the first time in a hybrid, stiffens the club head for higher ball speed. A thin Carpenter 455 steel face and Hyper Speed Face Cup technology increase ball speed across the entire club face. Displaying 1 out of 1 Questions. I did a 14 day trial with a 19 degree regular shaft Rogue hybrid. Very solid club, the ball was easy to get up in the air and went about 15 yards farther than my TM Superfast 2.0. The head seemed deeper especially in the toe, which is my miss, and was forgiving on off center strikes. My ball flight was higher than I wanted so ordered the 17 degree in a stiff flex shaft. Very happy. Have struggled with hybrids and the U Try program allowed me to test some on the course until I found the Rogue. It's in the bag now! Great feel and look. Definitely an easy club to hit. 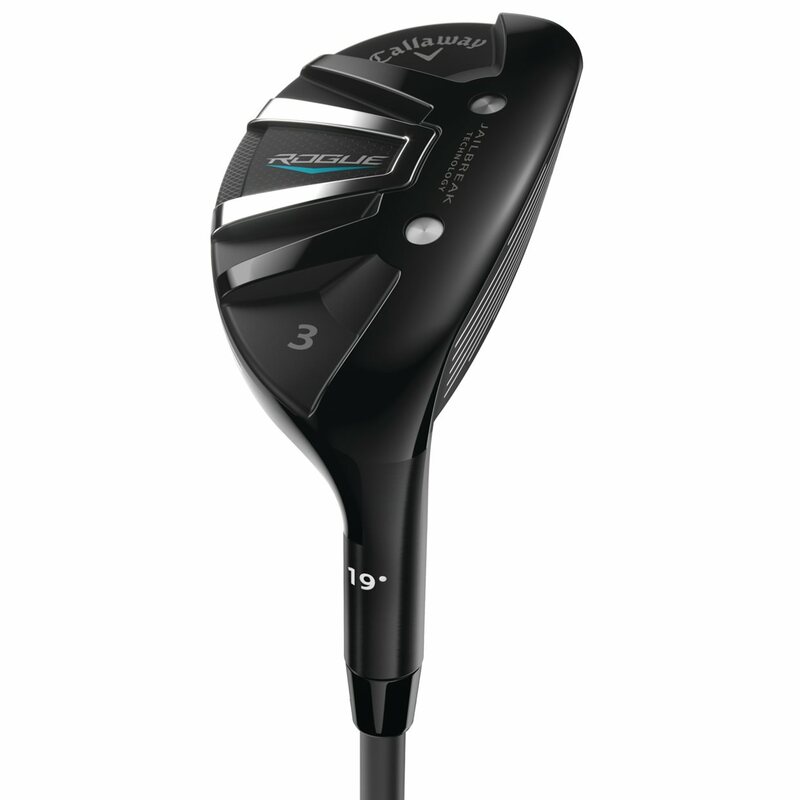 Like the Callaway Rogue fairway woods, the Callaway Rogue hybrids feature some industry-first technology to go along with improvements on the company's proven traits. Up first is Jailbreak technology. This common feature in the Callaway Rogue metalwoods has never been used in a hybrid before. Jailbreak consists of 2 bars that connect the crown and sole of the club, providing stability. The stiffness transfers more energy to the golf ball at impact for greater ball speed and distance. 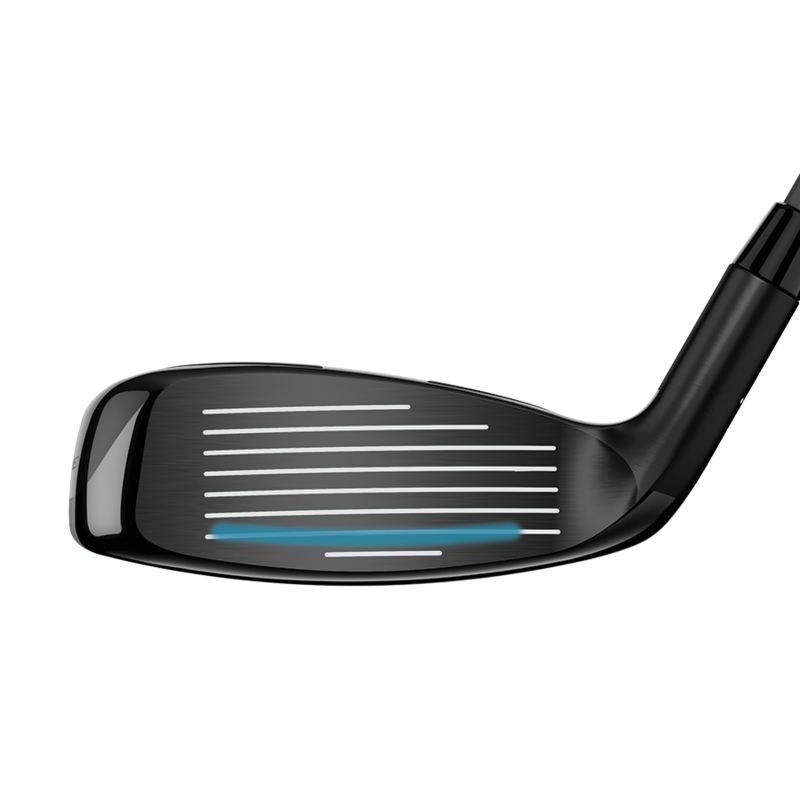 The Rogue hybrid has the same super-thin Carpenter 455 steel face as the Rogue fairway wood. This hybrid also has the Hyper Speed Face Cup technology seen in Callaway irons. Both features combine to deliver more ball speed and distance across the entire club face. Finally, an Internal Standing Wave behind the club face optimizes the CG for easy high-launching shots. Below, you'll see the stock options for the Rogue Hybrid.